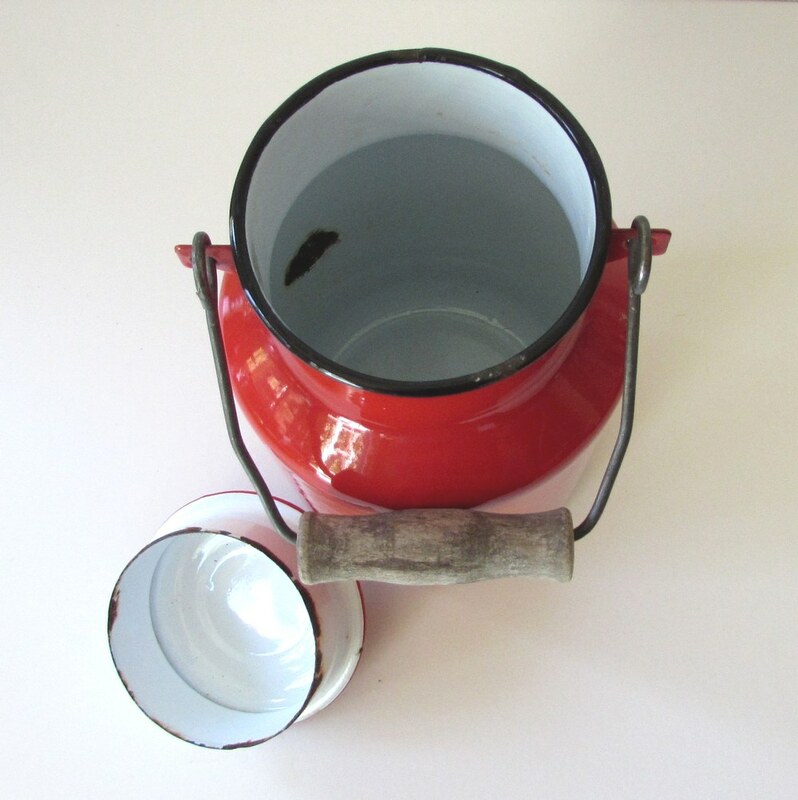 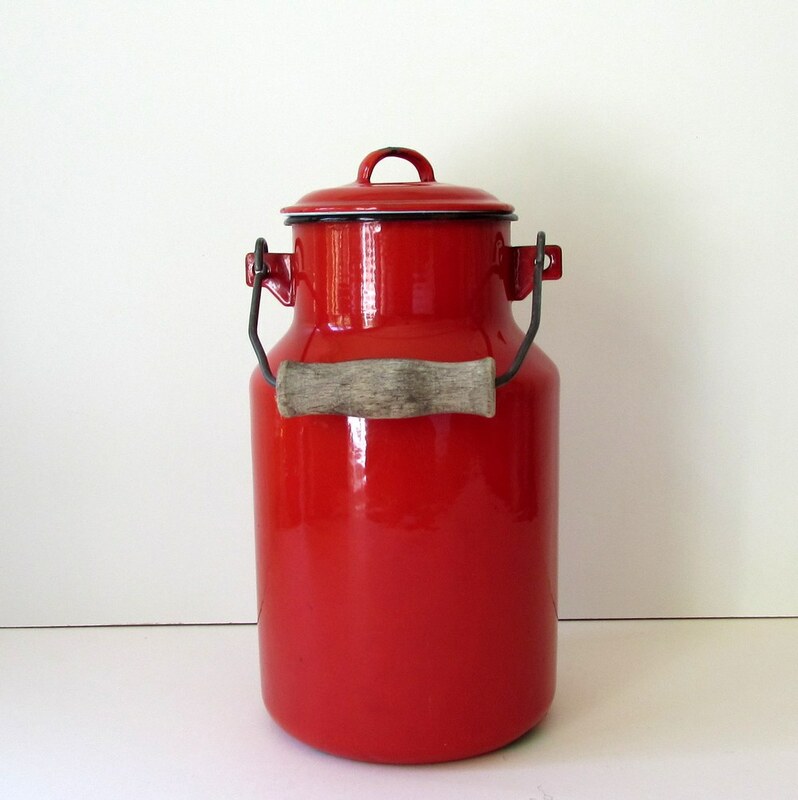 Vintage red enamel milk container with a metal and wood handle, which can hold 2 litres of liquid. 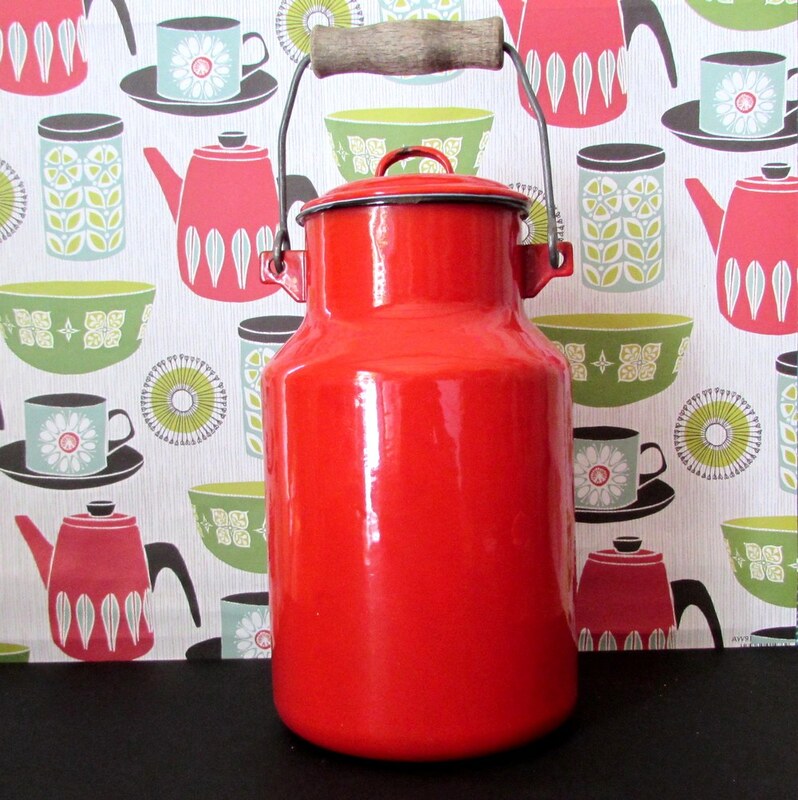 This can is a wonderful bright red colour and is great for use in your kitchen or garden. It would also make a great display piece, or just use it as a vase for any room in your home! 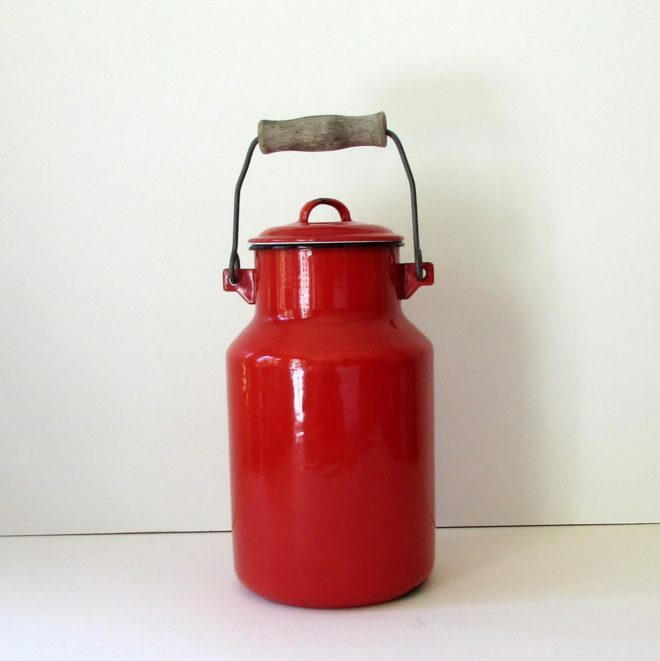 Condition: Very good vintage condition, with just some missing enamel paint at the bottom, but no dents. 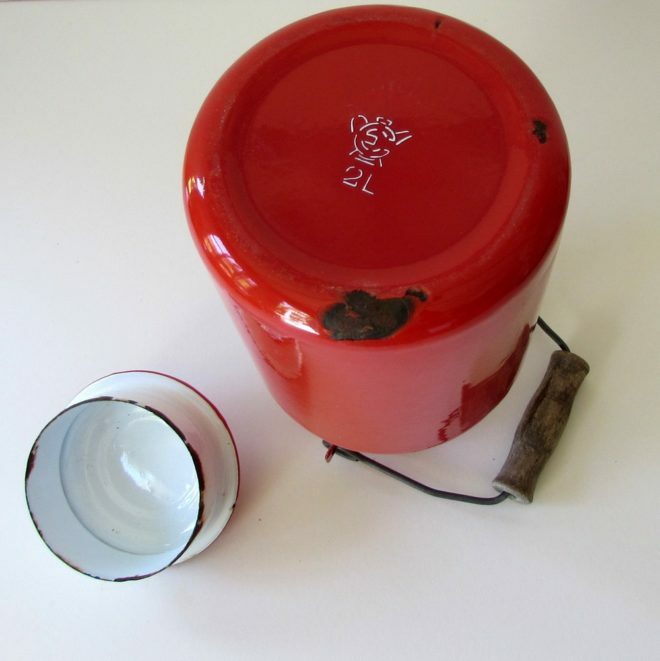 Inside is clean and still very useable with the white enamel coating in good condition. Please refer to photos for detail.